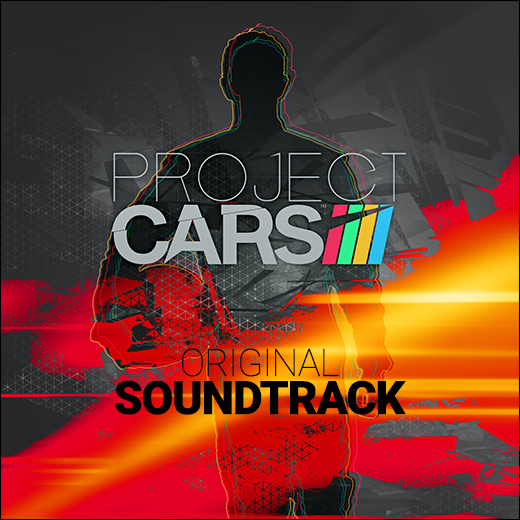 London, United Kingdom (July 6, 2015) - British film, television and video game composer Stephen Baysted has released his original soundtrack for the best-selling racing game Project CARS on publisher label Red Rocca. Baysted's previous game soundtrack credits include The Walking Dead: Assault and Need For Speed series. As both composer and audio director for Project CARS, Baysted commented, "Like all authentic racing simulation titles, there is no music during gameplay; car engines always take precedence. My job as composer is to try to enhance the player's sense of immersion in this world of racing and deepen their emotional and psychological responses to it by 'preparing' them for the race. The music in the menu system is therefore dramatic, gripping, epic, gladiatorial and is infused with race day sounds - cars, crowds, tannoys - so that it links directly to the sound world they will be exposed to whilst racing. It tries to get inside the head of the racing driver and represent the range of emotions they feel - fear, excitement, nerves, adrenaline pumping, and danger. Imagine what it is like driving at Le Mans at 330 kph in the dark as you slice your way through traffic! As a result, it's a varied score and reflects many facets of motorsport." Baysted recruited a stellar lineup of musicians for the soundtrack recording. Principal vocal performances are by Susan Legg whose opera engagements have included Bayreuth, Glyndebourne, Wexford, and Ischia, with additional vocal performance on "Ferrari" by Louise Walsh (lead role in Phantom Of The Opera in London) whose operatic engagements have included the Royal Opera House, La Monnaie in Brussels, and StaatsOper Stuttgart. Pianist Jonathan Plowright re-recorded the piano solo for the Liszt/Beethoven Symphony 7 which was featured in the 2014 Gamescom Trailer. Jonathan has been described by Gramophone Magazine as "one of the finest living pianists" and is currently recording the definitive Brahms Piano works for Bis records. Chris Blackwell plays drums (two world tours with Led Zeppelin vocalist Robert Plant and several albums) with credits including Now & Zen, Manic Nirvana, Knebworth (the Live album), Fate Of Nations, Sixty Six to Timbuktu and the boxed set entitled Nine Lives. From these Platinum selling albums came many worldwide hits co-written by Chris, including Tie Dye On The Highway, Watching You, and a Grammy-nomination for Calling To You. Additionally, John J Harvey plays guitar and co-composed the track "Green, Green, Green" with Baysted. John J Harvey's credits include Ripper Street (additional composition) and The Walking Dead: Assault (co-composer). The album was recorded and mixed by Nick Taylor (Thor, Mr. Turner, Jack Ryan: Shadow Recruit) at Air-Edel Studios in London. Renowned for his versatility, emotionally charged and expressively powerful music, Stephen Baysted's acclaimed music scores have been enjoyed by audiences worldwide in a succession of award-winning visual arts projects including the new Exhibition on Screen documentary feature film The Impressionists - And The Man Who Made Them (screening in select US theaters July 14); the Royal Television Society award-winning Matisse: Live from the Tate and MoMa with director Phil Grabsky; the psychological drama Strange Factories; Robert Kirkman's The Walking Dead: Assault; the international award-winning documentary Life Lines and Tim Pope's Brandy and Pep. Born in London, Stephen Baysted's passion for music began during his school years singing, touring and recording with the internationally acclaimed Wandsworth School Boys' Choir and playing clarinet in the London Schools' Symphony Orchestra. Stephen studied music at Southampton University and at Dartington College of Arts, where he was awarded a PhD. Project CARS is the most authentic, beautiful, intense, and technically-advanced racing game on the planet. Create a driver, pick from a variety of motorsports, and shift into high gear to chase a number of Historic Goals and enter the Hall Of Fame. Then test your skills online either in competitive fully-loaded race weekends, leaderboard-based time challenges, or continually-updated community events. Featuring world-class graphics and handling, a ground-breaking dynamic time of day and weather system, and deep tuning and pit stop functionality, Project CARS leaves the competition behind in the dust. Project CARS is available now on PlayStation 4, Xbox One and Windows PC. For more information, visit http://www.projectcarsgame.com/. Most game soundtracks are really amazing.